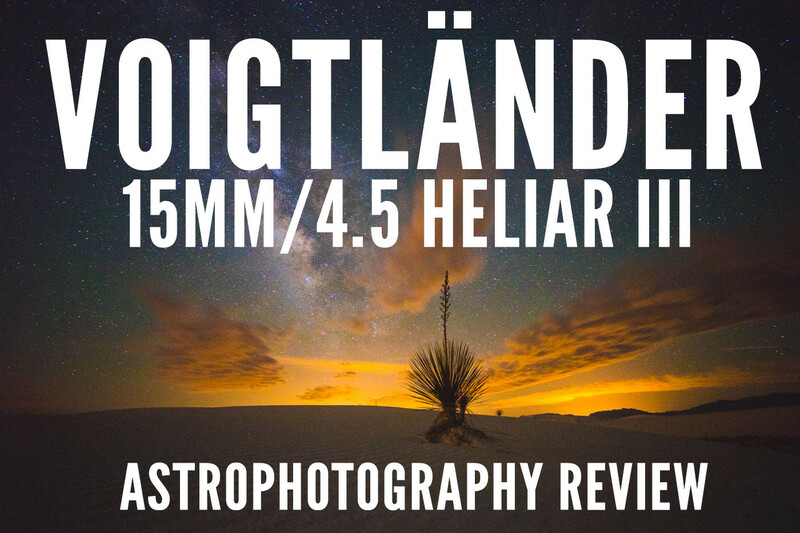 The Voigtländer 15mm f/4.5 Heliar III is one of the few ultra wide angle lens choices for digital full frame mirrorless cameras like the Sony a7 and Leica M. When Sony first launched the Alpha 7 series of cameras, there weren’t a whole lot of great ultra wide angle lenses that also complemented the compact bodies of the cameras. The most compact, and most unique wide angle lenses available on the Sony a7 were adapted lenses originally designed for a rangefinder: lenses like the Voigtländer 12mm/5.6 Heliar and the earlier generation Voigtländer 15mm f/4.5 Heliar II both provided compact designs and ultra-wide fields of view albeit with slow apertures. But these older ultra wide angle lenses for M mount were not optimized for use on a digital sensor. As a result, many of these compact wide angle rangefinder lenses exhibit pronounced color shifts and reduced sharpness or smearing of the image on the edges of the image when used on full frame digital camera sensors. It’s also possible to adapt lenses originally designed for DSLRs, but most of the ultra wide angle DSLR lenses available (e.g. Sigma 12-24mm f/4.5-5.6, Nikon 14-24mm f/4, etc.) are significantly larger than the lenses designed for short flange-focal distances. My Rokinon 14mm f/2.8 super wide angle lens can be mounted to the a7II but it’s really big, especially for a camera that I bought for its small size. The 15mm f/4.5 Heliar III is the first compact super wide from Voigtländer that’s optimized for use on digital cameras. 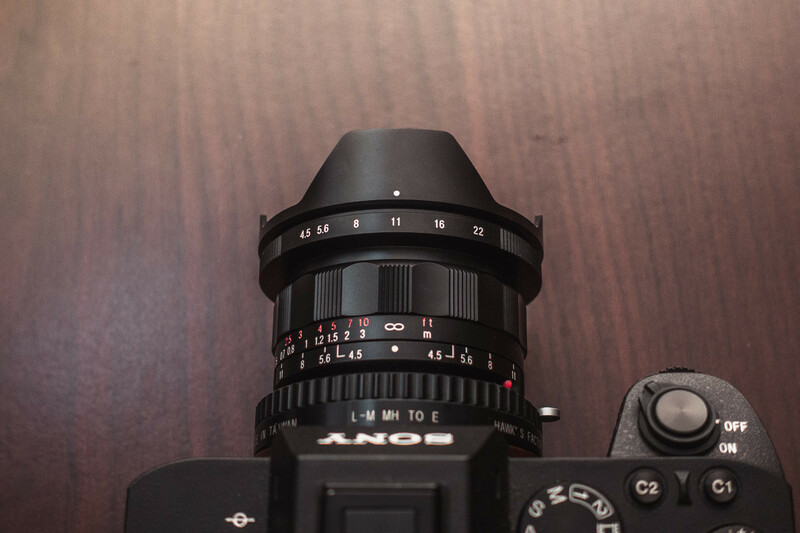 I primarily wanted to test this new lens on the Sony a7II as an affordable compact alternative to the more expensive Sony FE 16-35mm F/4 OSS or Leica Wide Angle Tri Elmar 16-18-21mm f/4. So far, I’ve kept the 15mm Heliar III lens permanently mounted to my a7II for the entire duration of our current road trip across the United States. 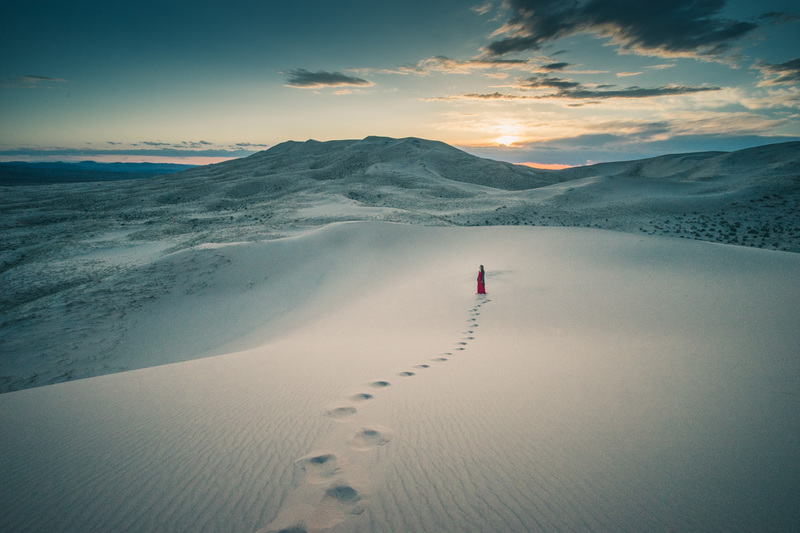 Diana and I have visited the steep, seemingly endless Kelso sand dune field in the Mojave National Preserve, California. 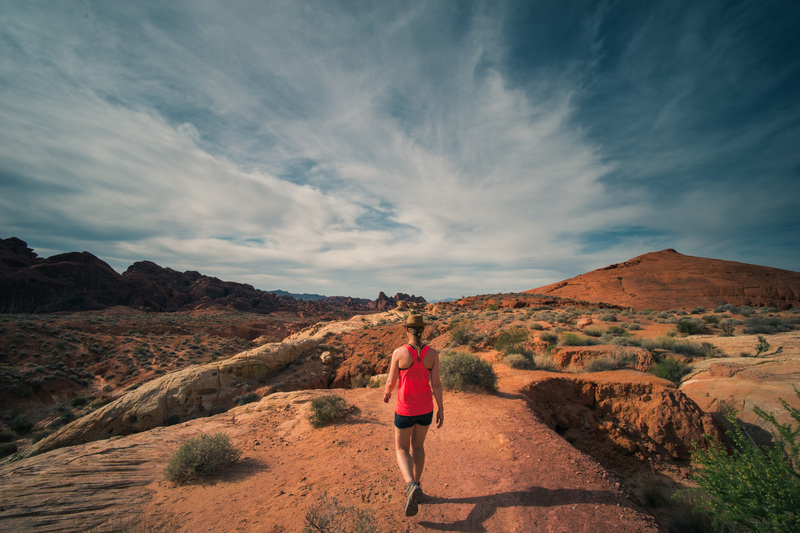 We hiked through the multi-colored canyons of Valley of Fire, Nevada. 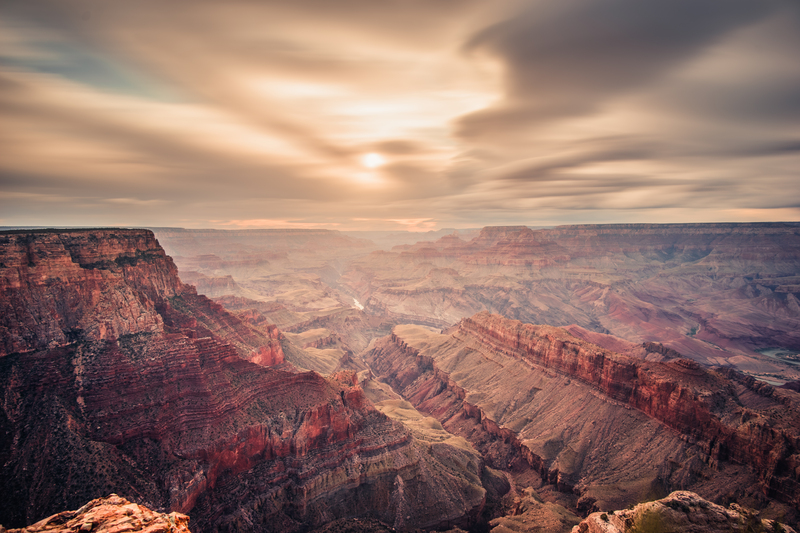 We camped though rain and snow on the South Rim of the Grand Canyon, Arizona. 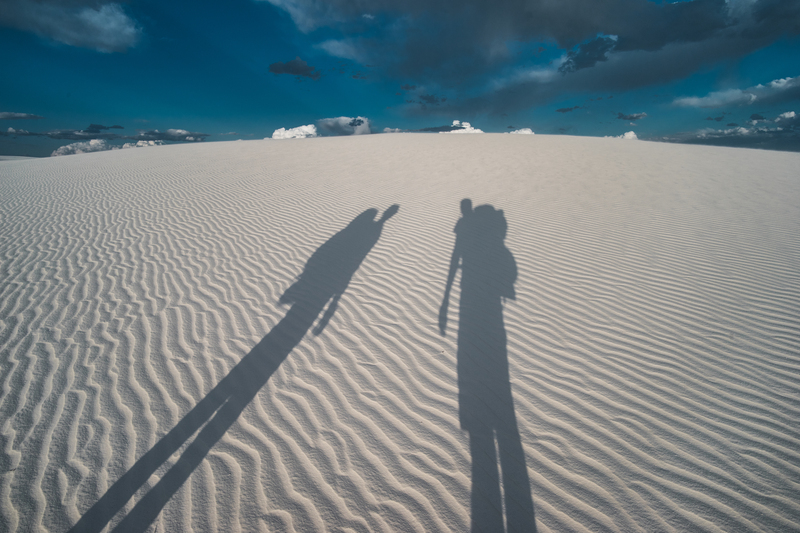 And for our latest outdoor excursion, we backpacked on the beautiful backcountry camping trail of the White Sands National Monument in New Mexico. This lens has seen a lot of beautiful places and has met or exceeded most of my expectations at all of those locales. I like Voigtländer lenses. If you’ve never used one, try to get a chance to do so. They’re very nicely designed and made and the Voigtländer 15mm/4.5 Heliar III is no exception. It has all the staple high quality Voigtländer traits: all metal construction, a well damped and extremely smooth focusing ring, smooth rotation and positive detents for the aperture ring at half-stop increments, a 10-blade aperture diaphragm, and a very compact design. It’s 15mm focal length provides a super wide angle 110 degree field of view, perfect for landscape shooting. The Heliar III is actually larger than the Mark II and the Mark I versions of the lens, making it the largest of all Voigtländer’s 15mm/4.5 Heliar designs. That said, it’s still a very small lens on the grand scale. It’s not much larger than the smallest native Sony full frame E mount lens: the Sony Zeiss FE 35mm f/2.8 Sonnar T*, even with the necessary M to E mount adapter attached. 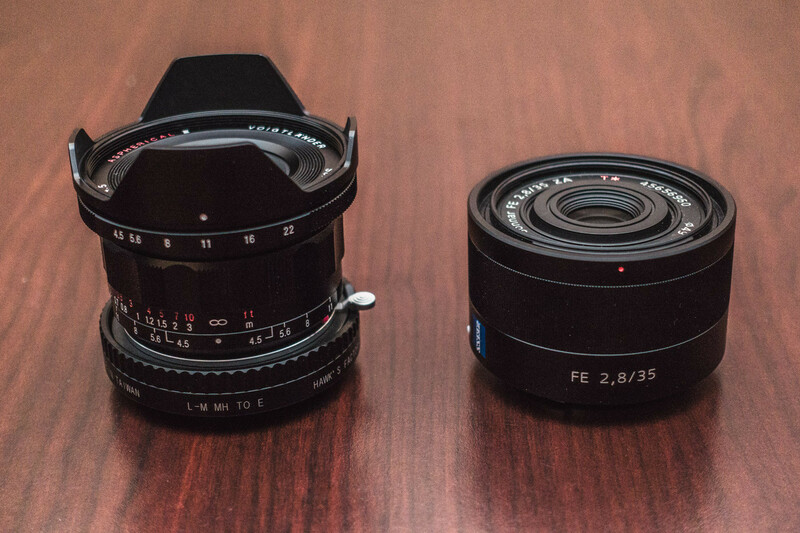 The Voigtländer 15mm f/4.5 Heliar III is not much larger than the Sony Zeiss FE 35mm f/2.8 Sonnar T*, even with a Leica M to Sony E mount adapter attached. The lens has a 58mm filter thread that allows for the mounting of round filters, but, like its predecessors, the Heliar III has a built-in non-removable lens hood. The fixed hood may disappoint some users because it prevents the possibility of mounting a square filter systems like my Formatt Hitech 85mm filter holder. Square filters are a specialty item that have only limited uses, especially in the realm of digital cameras, but I enjoy the occasional use of a graduated filter for sunsets or a high stop neutral density filter for ultra-long daytime exposures. It’s a minor complaint for most photographers, but those who use a square filter system should take note that it’s not possible on the Heliar III due to the non-removable hood. In order to mount the lens to my Sony a7II, I opted to use the excellent Hawks Factory Leica M to Sony E Helicoid Adapter V5. The adapter has a built in helicoid that offers the ability to both improve close-focus distance (from 50cm/1.6ft to roughly 3cm/1.5in) and the ability to calibrate the infinity focus position of the lens. 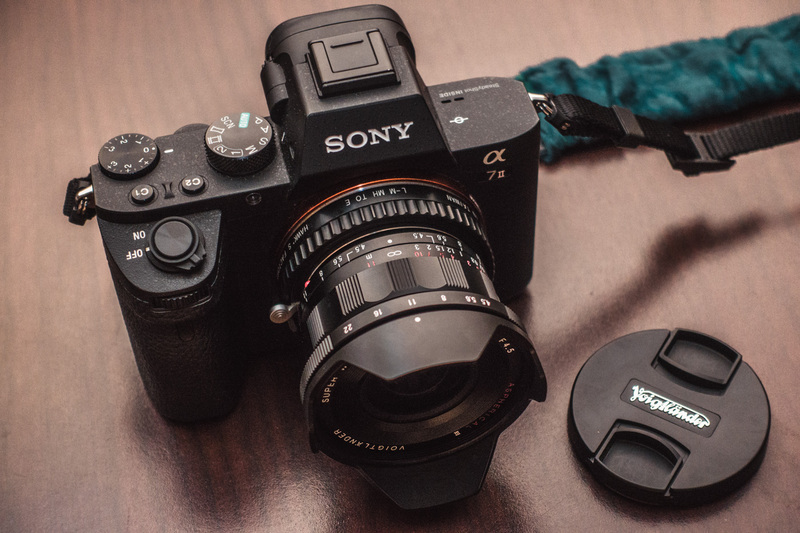 If you’re looking to adapt a Leica M mount lens to your Sony a7 series camera (or any mirrorless camera), try out the Hawks adapter, it’s excellent. Using the adapter I was able to shoot a lot of otherwise impossible wide angle close up shots. And with a calibrated infinity focus, it was very easy to shoot landscapes in the daytime or night without fussing about critical focus. Hover over the image below to see how the Hawks Helicoid adapter decreases minimum focus distance by extending the lens out from the camera. If you’re using an APS-C mirrorless camera like one of the Fujifilm X-Series cameras, a Sony NEX or APS-C alpha camera like the a6000 or even a Micro 4/3 camera like an Olympus OM-D, the Voigtländer 15mm/4.5 Heliar III will also be able to mount with the use of an appropriate adapter. That said, I honestly would not recommend it for a cropped sensor camera. For the price, a native mount lens made specifically for your APS-C or smaller sensor camera will be more appropriate. Native APS-C lenses like the Fujifilm 14mm/2.8, Sony 10-18mm/4, or any of the kit 14-42mm or 14-150mm Olympus lenses, just as an example, are all faster and better suited for their respective APS-C or m4/3 camera systems. The native lenses have autofocus capability on their systems and are all priced reasonably. The Voigtländer 15mm/4.5 Heliar III is a dedicated full frame lens and should probably only be used on a full frame camera like the Sony a7 series, Leica M rangefinders or even film 35mm rangefinders like the Voigtländer Bessa R Series. You can use it on cropped sensor cameras but I don’t know why you would want to. With the lens calibrated for perfect critical focus at infinity with the Hawks adapter, I did notice that the depth of field (DOF) scale on the Heliar III is likely more suitable for film shooting or for use on a lower resolution camera. It’s possible that this variation is due to my calibration of infinity but even after a little experimentation the DOF scale still seemed a little over ambitious. 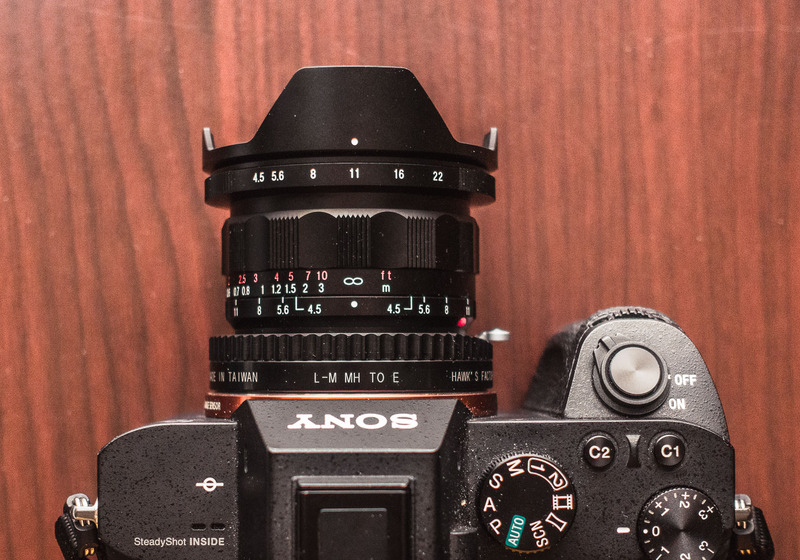 The lens seems to use a larger circle of confusion than that which is appropriate for the 24 megapixel sensor on the a7II. In use on the a7II, I found it best to use the hyperfocal markers for the setting two stops brighter than the actual aperture setting. For example, when using f/11 on the aperture, the best hyperfocal markers were for f/5.6. Once I stuck to this convention, the lens became an excellent walk-around shooter. I just left the lens at f/11, set the appropriate hyperfocal setting and shot away, never worrying about focusing as the depth of field ensured that basically everything was in focus. 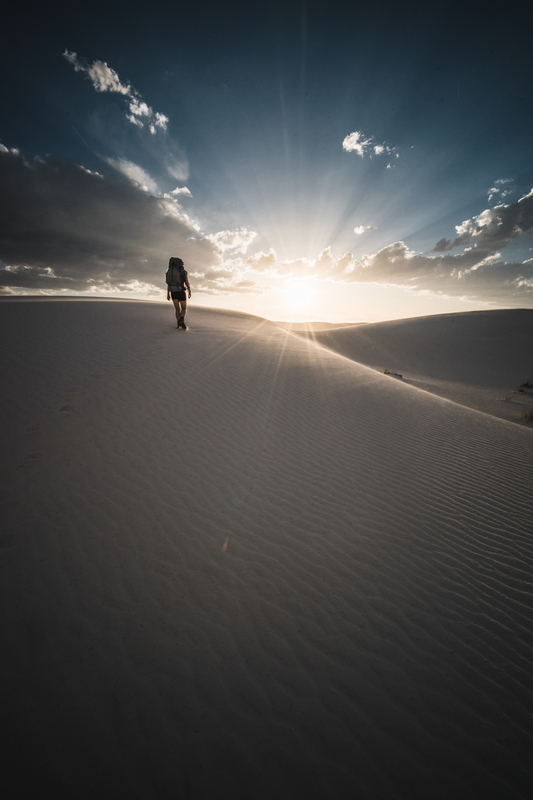 Shooting with hyperfocal distance set on an ultra wide angle is one of my favorite ways to shoot adventure photography, landscapes, and street photography. It removes any concerns about focus (provided it’s set properly) and makes it possible to worry only about framing and composition. 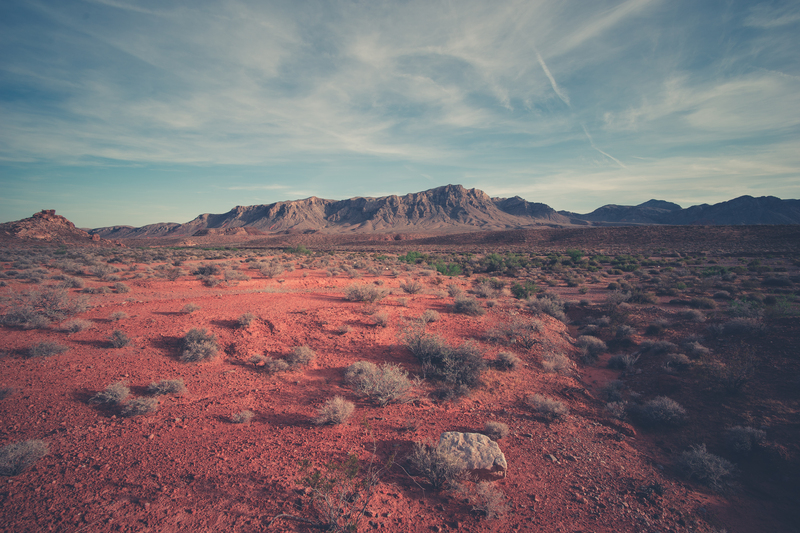 We’ve hiked a bunch on our trip and my favorite thing to do as we strolled through the desert was to just set the hyperfocal distance appropriate for f/11 and shoot from the hip. Many of my photos made during the daytime were done this way. Excellent. That’s pretty much all there is to say. If you want a sharp ultra wide angle lens for your a7, Leica or other mirrorless camera, the Heliar III will not disappoint. It renders the world in a grand way and it does it with precision. I’m not much of a fan of shooting charts or brick walls so all of my tests of image quality were done by shooting landscapes and night photography. If you’d prefer to view some MTF charts, look at some brick walls and sample photos of someone’s backyard, there are other reviews of this lens here, here and here. In the interest of helping you guys out, I have provided downloadable full resolution (24MP) jpegs for all of the images in the review so that you can decide for yourself. 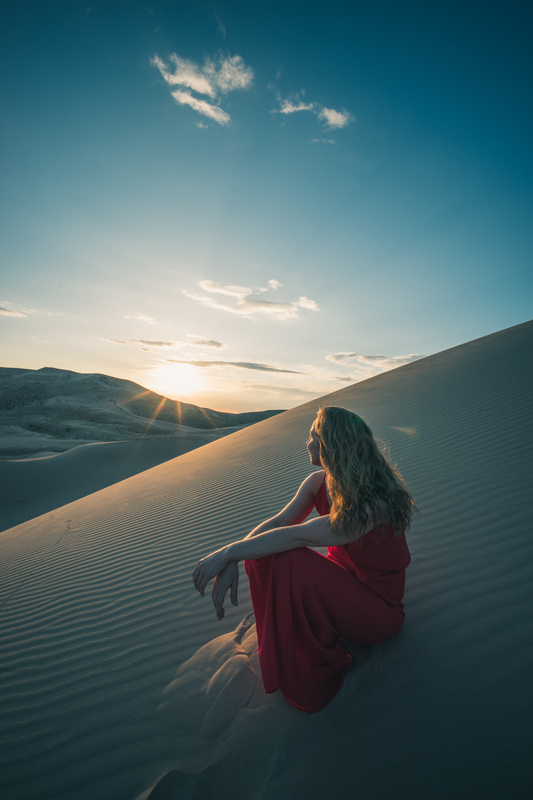 All images here were shot on the Sony a7II and processed through Adobe Lightroom 5.7.1 with standard sharpening and saved as 95% quality jpegs. Use the links in the captions for the full resolution photos. The 15mm Heliar III has a modern optical design and its improved optimization for digital cameras shows. Edges of the frame are very sharp all the way out to the very corners where there’s only a small dip in resolution at the absolute extreme corners. It shows absolutely none of the color shift problems that plague the older versions of the lens (and most M-Mount wide angle lenses when used on digital). Sharpness starts as very good at f/4.5 and then increases to excellent levels until about f/8 or f/11 where the lens hits its maximum sharpness. Shooting at f/4.5 or f/5.6 still produces good results but the corners won’t be quite as sharp as shooting at f/11. At f/16 and f/22 the lens starts to lose a bit of sharpness to diffraction but stays useable should you need to maximize depth of field or increase shutter time in brightly lit conditions. Honestly, in daytime shooting, you’ll probably get the best results just leaving it at f/11 and forgetting about it. Depth of field is already tremendous wide open so there’s really no incentive to shoot at any aperture other than f/11 in bright conditions. It has the best mix of corner and center sharpness , extreme depth of field, and (slightly) reduced vignetting at f/11 so that’s the lens’s go-to aperture setting. 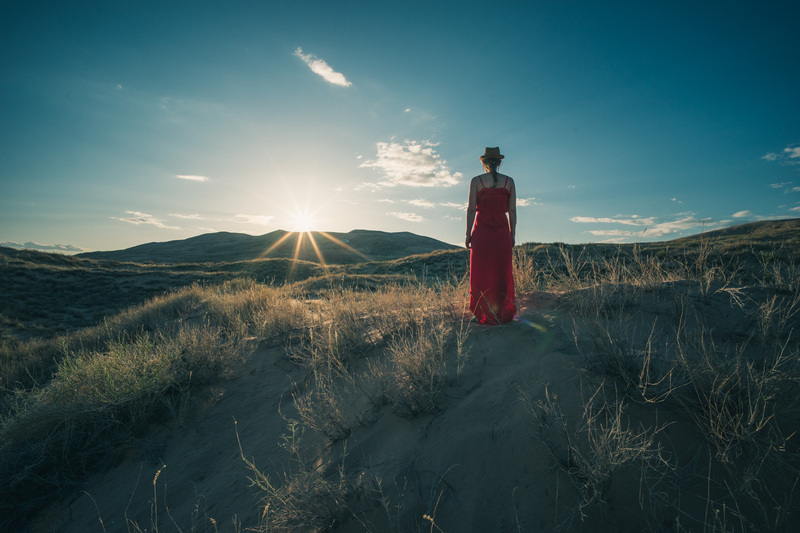 Vignetting is high at basically every aperture setting just due to the nature of the lens. Most lenses with this wide of a field of view will exhibit strong vignetting and the Heliar III is no exception. The light falloff in the corners can be corrected in Lightroom or Adobe Camera Raw but I tend to like the characteristic, it’s a staple trait of most super wide angle lenses. 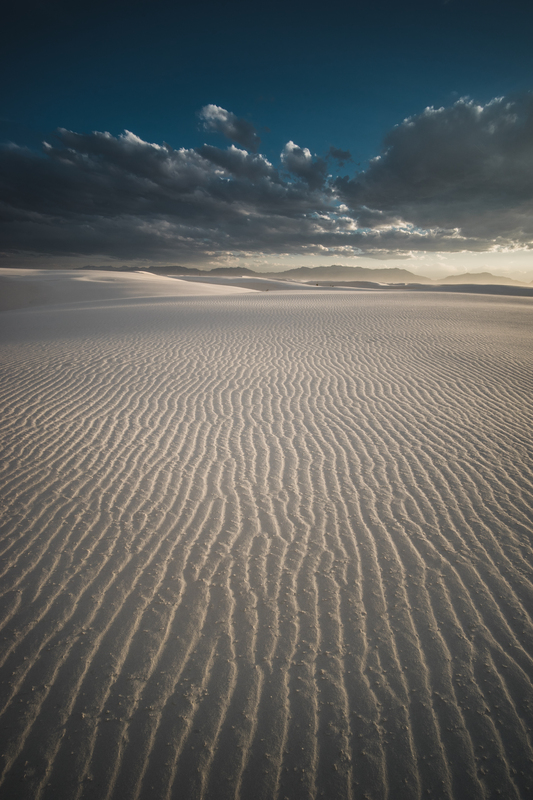 With dark exposures, photos from the 15mm Heliar III will show dramatic, dark corners. The 10 blade aperture diaphragm produces very pleasing 10-pointed star-bursts around bright light sources when stopped down, one of my favorite traits of the lens. The lens handles out-of-frame flare perfectly due to its built-in lens hood and when used with the sun in the frame, it produces a very small pair of greenish-blue or rainbow colored flare spots. It’s a very easy to avoid the flare if you want to and there’s nearly no reduction in contrast in these conditions so I would say that the flare performance is excellent. Did I mention that this lens is wide? It fits nearly everything in its 110 degree field of view. I think that such a wide field of view can be a little bit difficult to compose while trying to minimize distracting details in the frame but the results are often dramatic and very satisfying. It makes some images in which you can get lost just from the sheer amount of detail all the way from the foreground to the background. Shooting some ultra-wide 15mm/4.5 Heliar III close ups of bees by using a Hawk Helicoid Adapter on the a7II. Wanna get close? Working distance is like 1″ on this setup! Such a wide field of view can make portraits difficult. It’s easy to get too close to your subject and the results can look rather stretched if someone is too close to the edges of the frame. The lens is, however, excellent for capturing people in their environment in a natural way that, in my opinion, is more representative of the scene as it actually was. I had a lot of fun shooting photos of Diana in her red dress at the Kelso dune field in Mojave National Preserve. There are very few lenses as compact and with as wide a field of view as the Voigtländer 15mm f/4.5 Heliar III. Most similar focal length lenses for DSLRs are often physically huge by comparison. Some, like the well regarded Nikon 14-24mm f/2.8, are so large that I wouldn’t typically consider adapting them to a small camera like the a7II. The 15mm Heliar III is a lens that you wouldn’t think twice about bringing with you because it’s so compact. A backpackable ultra wide angle lens? Yes, please. Some might argue that it’s compromised by its slow f/number and lack of autofocus but if you’re using it right you’re probably shooting at f/11 for maximum sharpness and depth of field anyways and you’ll never need to change focus from the hyperfocal setting. It’s also not that bad at night sky photography as I eventually found out. Overall, my experience with the lens exceeded my expectations. It’s very sharp, something I don’t usually expect from Voigtländer lenses, it’s very nice to use (seriously, that focusing ring is so smooth it’s almost therapeutic) and it’s really compact, much smaller than I initially expected from the original product photos. The only real complaints I have about the lens are the non-removable lens hood and the fact that the hyperfocal scale is a little bit too ambitious. There’s no apparent technical reason as to why the lens hood needs to be fixed: there seems to be adequate room to have had a bayonet for a removable hood and the front lens element is small enough to allow for regular filters so I’m not sure why Voigtländer decided to keep the hood fixed. For hyperfocal shooting on a high resolution camera like the a7II, using the depth of field markers for the setting two stops brighter than the actual set aperture seems like the better setting than the ones marked on the lens barrel. With such a short, small aperture lens, the depth of field of the Heliar III, even wide open at f/4.5, is still very large. At moderate apertures like f/11, the large depth of field allows for easy walk around hyperfocal shooting and tack sharp landscapes from the closest foreground details all the way out to horizon and beyond. It’s a great compact choice for landscapes. At less than $800 for the Voigtländer 15mm/4.5 Heliar III, the lens is cheaper than the other comparable compact ultra wide angle lenses. The Sony FE 16-35mm f/4 is almost $1400 and the Leica Wide Angle Tri Elmar 16-18-21mm f/4 is a whopping $4800. The 15mm Heliar III is also much, much smaller than the comparable DSLR lens choices like the Rokinon 14mm f/2.8 or Nikon 14-24mm f/2.8 which makes it a lot more suitable for smaller camera like the Sony a7, a7R, a7S, or a7II. The small f/4.5 aperture is not ideal for low light photography but as I conclude in my astrophotography review, it actually exceeded my expectations for low light shooting, producing some very high quality, aberration free photographs of the Milky Way, something I did not expect. Overall, the Voigtländer 15mm f/4.5 Heliar III a fine super wide angle lens. It’s one of the best I’ve ever used with it’s compact design, extremely high image quality and perfect ergonomics. Minor gripes are its non-removable lens hood ambitious depth of field scale and strong vignetting but none of these issues noticeably detract from an otherwise excellent photographic tool. It’s even alright at shooting the Milky Way, who knew. It’s likely one of the best super wide angle lenses available for any of Sony’s or Leica’s digital full frame cameras today. 5/5 Stars. Highly Recommended. Overall, the Voigtländer 15mm f/4.5 Heliar III a fine super wide angle lens. It’s one of the best I’ve ever used with it’s compact design, extremely high image quality and perfect ergonomics. Minor gripes are its non-removable lens hood and strong vignetting but neither issues noticeably detract from an otherwise excellent photographic tool. 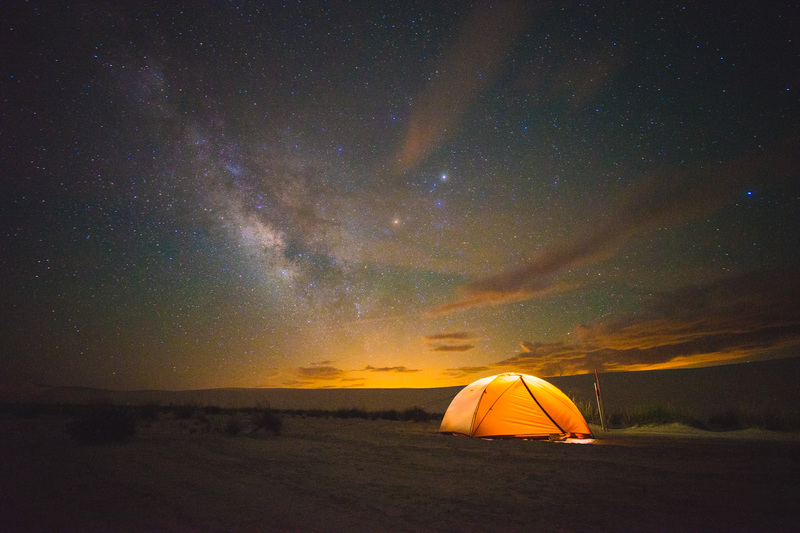 It’s even alright at shooting the Milky Way. It’s likely one of the best super wide angle lenses available for any of Sony’s or Leica’s full frame digital cameras. More again than not, tipsters, readers, friends, and one’s own flesh of Eater have harmonious without a doubt: Where should a specific eat vindicate now? Restaurant obsessives fall short of to understand what’s restored, what’s steaming, which favorite chef nothing but launched a sophomore effort. And while the Eater 38 is a crucial resource covering unused standbys and neighborhood essentials across the city, it is not a register of the “it” places of the moment. Therefore, the crew offers the Eater Heatmap, which drive transform on a symmetrical constituent to perpetually Chicago’s Top Restaurants highlight where the crowds are flocking to at the moment. First of all, I’d like to thank you for taking the time to writeup this review. For me it was one of the more informative and enjoyable reviews on this lens. Oddly enough, I do recall reading somewhere (B&H user review maybe) that the M mount version adapted to the A7rii via adaptor, is sharper in the corners than the E-mount version of the lens; and so was wondering if you have had any experience with the two? If so, would you be able to confirm that claim? Edge to edge sharpness is important to me and so this would sway my decision one way or another. survey filling. Even 10 bucks per survey (10 minutes duration). Is there any problem on Sony a7R2? You wrote a fantastic article and I liked the astro photography review of this lens too. But I have an A6000 and I’m first going to rent the lens to try it. 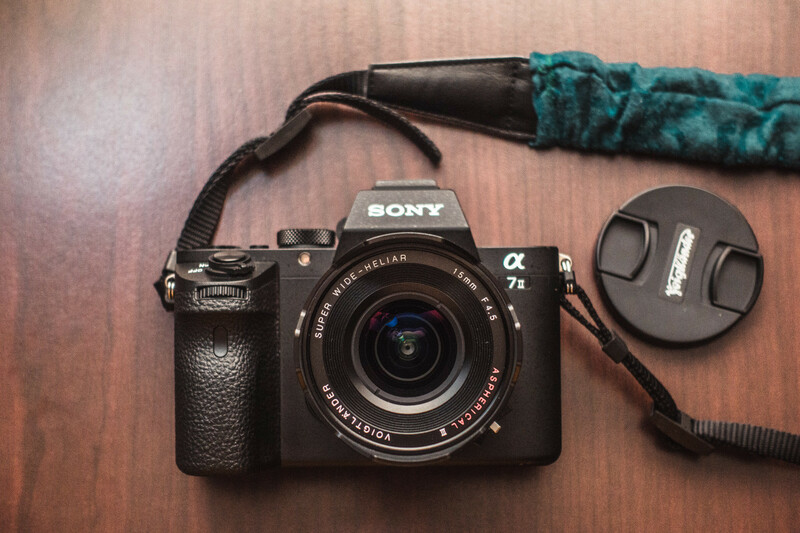 I’m renting it based on Seb’s and other’s positive reviews of it on the Sony A6000. Hi, awsome review of this wonderful lense. I just bought the first version of this lense. This was made to use on film cams but with the a7s it works also very well! Advantage of the first version is: much smaller and lighter then this version III, and you can get it with adapter for ~250$ I don’t know why and how but there is absolutly no magenta color shifting with the a7s. Maybe it is because of the special sensor of the a7s? The combination of sony a7s and super wide heliar 15mm first version is my smallest and lightest set up of full frame photographic (in total 644g). that is because the A7S has a very different filter stack on the sensor than other models of the A7 series. it obviously copes way better with light hitting the sensor at a steep angle, like it does on wide angle rangefinder lenses. I am planning to buy all three new new lenses (have yet to buy the A7R ii). One of the drawbacks is heavy vignetting that can be removed via post processing. Doesn’t the A7R ii have in camera processing to automatically remove the vignetting for jpgs? I have and use the lens in the II version – on film (in a Bessa…) – and it works great! Paul, the great thing about the Sony A7 series cameras is that you can use an adapters to mount lens from just about every manufacturer. So, why do this? Well, first off Sony doesn’t have a native prime FE mount lens this wide, so being able to use this lens fills a gap that may take Sony years to develop (if they ever do at all). Secondly, this lens is super sharp, but I and many others simply can’t afford Leica cameras, so this gives us access to a lens we otherwise would never have been able to use. Hope that helps answer your question. I noticed that there is a newer version of this lens with e-mount. Do you think it will perform the same? They didn’t make any changes to the optics, they just added in the contacts to transfer Exif Data to the camera – but still no AF. Performance should be identical to the lens that was reviewed. Pro’s: Native FE mount, no adapter needed. Aren’t Voigtländer lenses meant to be manual focus only? You’re shots have me sold on this lens. I really like the character of the lens, it’s build and that it handles flare amazingly well. With the announcement that one is coming for the E Mount I’m baffled as whether or not I should wait until spring. What would you do if you had the choice? Wait until spring, or go for the one with the adapter? I’m facing the same decision… Not sure what to do. One advantage of the adapted lens is that one can use it with a close focus adapter, whereas the native e-mount lens won’t be able to close focus. also, I’ve just heard the price of the e-mount lens is approx. $1,000, which is a couple of hundred dollars more than the Leica mount lens, so you are effectively getting the adapter for free. Wait for the E-mount version that is due any moment now, if you are buying it for A7R ii. Hi, a great review. Thank’s for your explanations. I tested the lens during the last weeks together with my A7r and A7ii and i am impressed. Naturally i use Lee Filters to avoid overexposure in the lights areas like heaven during sunset. With this lens it is not so easy to use graduatet Filters to balance the difference between lights and shadows. If i see your great balanced pictures i ask myself how to reach this without graduatet filters? What is your workaround? HDR or underexposering and bringing the shadows up in Lightroom? Thanks for advice. It’s called luminosity masking. Select dark/highlight and edit it in PS. Google TK action for more info. Now a native version for Sony E mount has been announced (from Spring 2016) would you recommend going for that or still using the adapter to get the advantages of the infinity calibration? I imagine the native E mount version should be tuned to proper infinity so that’s likely no worry. Where the adapted M-mount version could be advantageous is in close focus capability with the use of a helicoid adapter like the Hawks one I used here or the Voigtländer VM-E adapter. Hi Ian, will the mark ii version performs anything close to the mark iii ? The Mark III is an all new optical design that was made to be sharper on modern digital sensors with microlenses on the pixep sites so the Heliar III will perform much better on most digital cameras than the Mark II version. The Mark II version is known to have smeared looking corners and strong magenta color shifts in the corners. One camera that is an exception is the Sony a7RII which has a Back-illuminated sensor and larger photosites so it does not need the Heliar III design. I bought this lens for my A7R II. When I use the magnification in the camera to try and get focus I do not get focus peaking. I do get focus peaking without the magnification on. Guess I am missing something. Focus peaking might need to be increased to higher levels to work on magnified view. It looks for fine sharp edges and zooming in will reduce the occurance of such in the real time preview making the image ‘peak’ less. I personally keep peaking at low to mid for full scene focusing and pulling focus in video and use the magnified view for stills only. Was thinking about trading mine for the more expensive one. The Voigtländer VM-E does the same thing as basic adapters and allows for very close focus, just like the Hawks V5 adapter I used here. I recently used a VM-E and it’s even nicer than the Hawks adapter! Tanpri pa vote J celestin Paske pale a pa gen kote pou 13 fanm fe zen. pou 18 ti mounvin tata.siw votel , avan 5 an pale a ap tounen makrel ofelina. ou te konprann se te messaj espirituel ebyen sa se politik fwa sa kouri fel pase pou nou pa tombe nan briganday tafiate vole ak kriminel ? Thanks for responding Michelle. In particular I was curious what you, as a mother, thought about your children growing up and developing views outside the christian centered ones they were raised with. As soon as I found this site I went on reddit to share some of the love with them. “So far as I can remember, there is not one word in the Gospels in praise of in8e.ligencel&#t221; by Bertrand Russell. Thanks for the wonderful review. I really enjoyed. I have been using sony 10-18mm on A7 ii for about 6 months. I like it very much other than extreme distortion. This is mostly a matter of whether or not you prefer autofocus. Personally, I really like having autofocus for video work and the 10-18mm/4 is an amazing video lens when used on the a7 series. 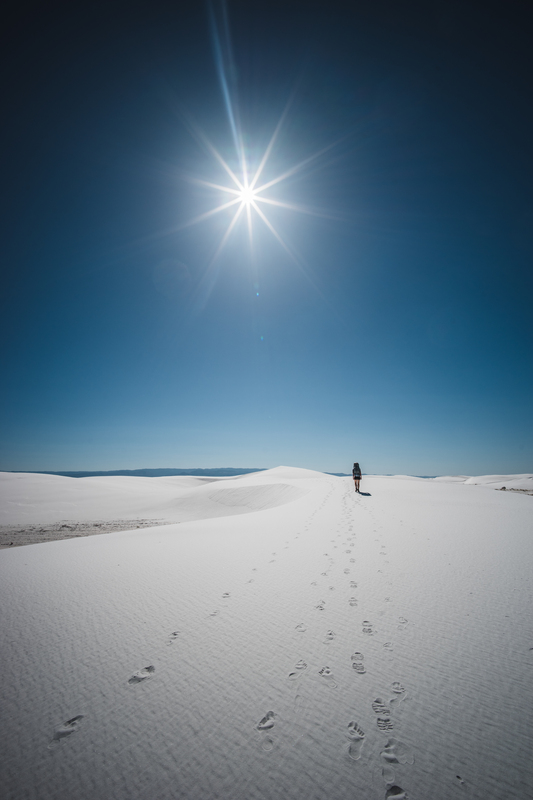 Have you used sony 10-18mm on A7 II ? It is for crop sensor but works quite well for full frame A7 , particularly between 12-16mm. Thanks again. Yes I have, it works great, just like you mention! Thanks for a great review. I have had my eye on this lens for some time and have been waiting for someone to use it in the real world and provide good feedback. I shoot a lot of seascapes which means my Rokinon 14mm f2.8 produces shots requiring alot of correction for distortion (straightening the horizon). Any thoughts on distortion with the Voigtlander? The lens shows very low levels of distortion. I didn’t shoot any brick walls but check out the final image of this review by Louis Ferreira for an example of the distortion. Looks pretty minimal in my opinion! Fantastic review and great photos. I have some questions about hyperfocal setup, and hyperfocal in general. Is it possible to go into this in a bit more depth? 1. 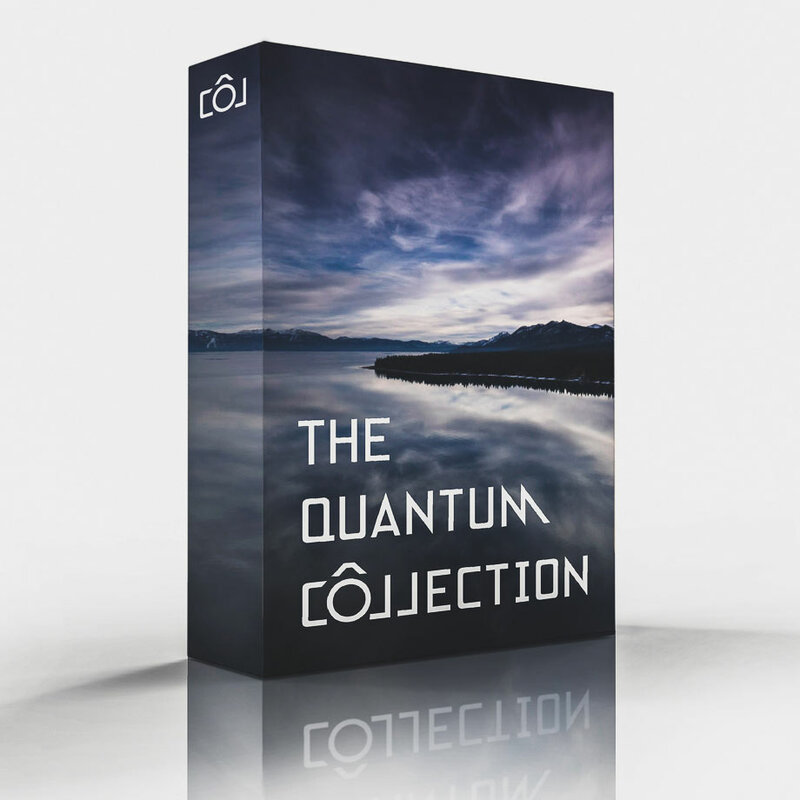 You wrote “…With the lens calibrated for perfect critical focus at infinity”, how did you perform this calibration? 2. You wrote” …with the Hawks adapter, I did notice that the depth of field (DOF) scale on the Heliar III is likely more suitable for film shooting or for use on a lower resolution camera. It’s possible that this variation is due to my calibration of infinity but even after a little experimentation the DOF scale still seemed a little over ambitious.” could you explain the DOF scale and how to use it? Any chance you could put up a tutorial? 1. One of the unique things about using an adapted lens, with the Hawks V5 adapter is that the adapter allows the adjustment of the infinity stop. This is a unique advantage of adapting a lens with a helicoid style adapter. As far as how the calibration is performed: The lens is set wide open (f/4.5 in this case) and the focus set to the infinity mark/stop while framing a subject that’s “at infinity, or adequately far away (e.g. at least 100ft/30m away). Then, using the helicoid adjustment stops on the Hawks adapter and the built-in live view magnification on the camera, I adjusts the stop position (requires a small screwdriver) until the image is in critical focus. This ensures that the lens will reach infinity focus perfectly when I set it to the infinity mark. The depth of field scale, can be seen marked under the focus ring distance marks here. You can see it’s markings of the aperture settings from f/4.5, f/5.6, f/8, f/11 etc. It is supposed to indicate the range of depth of focus of the image for any given aperture setting and focus position. For example. 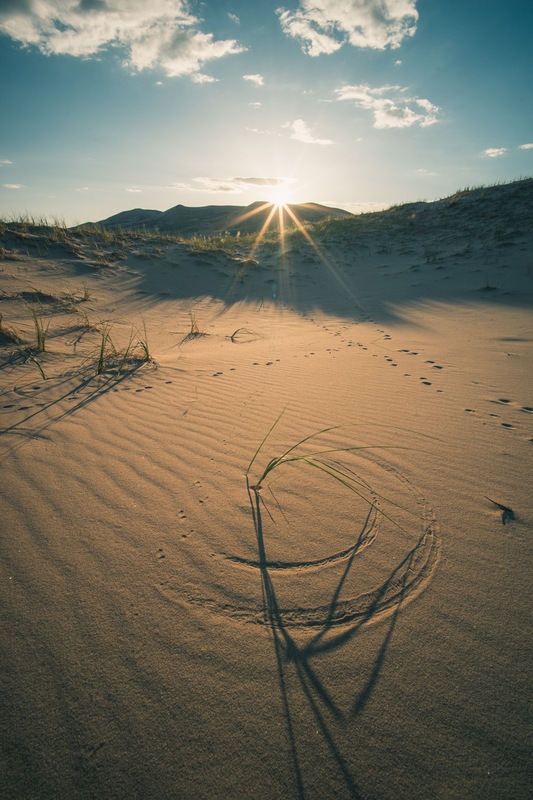 If you look at the setting on the example image linked above, the lens is set to f/11 and the focus position set to infinity. At those settings, the DOF marks indicate that everything from 0.7m (see where the f/11 mark aligns with 0.7m on the far left of the scale) though infinity and past, should be in perfect focus. 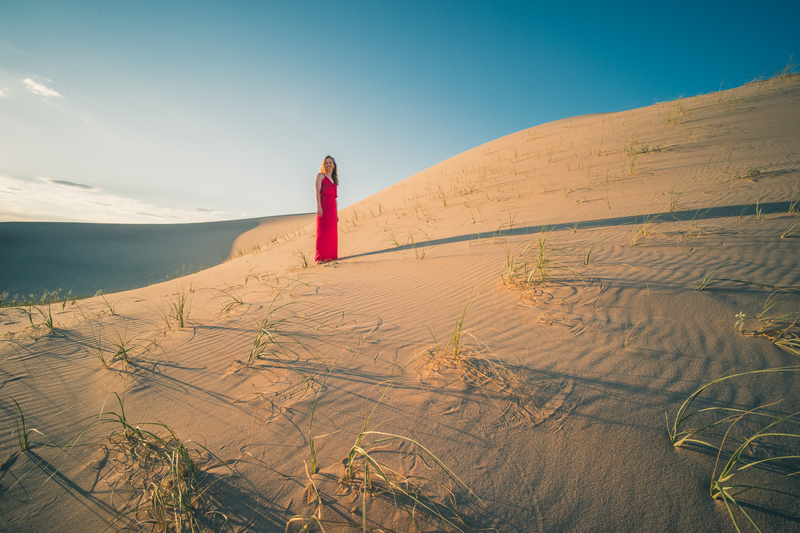 Shooting for “hyperfocal distance” usually means that you try to set the aperture and focus such that you can maximize the depth of field of the image for that given aperture from infinity, all the way to the close foreground. That means that at f/11, you should be able to rotate the focus ring such that the infinity mark aligns with the far rightmost f/11 depth marking and the image should still have enough depth of focus to keep objects at infinity in perfect focus. The advantage of being able to set the lens for hyperfocal distance is that it then eliminates the need for adjusting focus, provided that your subject stays within the indicated distances marked on the DOF scale. The problem with DOF scales is that they rely on the assumption that any given camera that you use the lens on will produce the same resolution image. 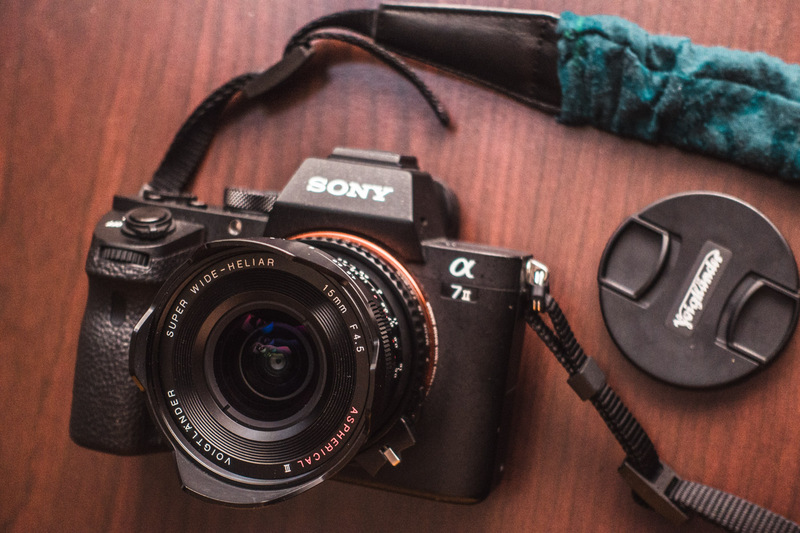 We know this isn’t the case: for example, the Sony a7RII uses a 42MP sensor while the Sony a7S has a 12MP sensor. They’re both capable of mounting the same lens but the range of acceptable focus will be a lot more precise when using the much higher resolution sensor on the 42MP a7RII. In other words, you’ll be able to notice when something is starting to become out of focus on the 42MP sensor more easily than on the 12MP sensor. This concept is known as the “circle of confusion” which is essentially the point at which an out of focus projected image still matches the resolution of the imaging device. Even though it’s technically out of perfect focus, it doesn’t appear to be because the sensor cannot resolve enough detail to indicate that the image is out of focus. Higher resolution cameras have a smaller circle of confusion and thus require a finer/narrower depth of field scale. I think that when Voigtlander made their depth of field scale for this particular lens, they made it based on the resolving power of a 35mm film camera (Voigtlander currently only makes film cameras). Now while film is still capable of resolving very high levels of detail, the circle of confusion that is traditionally used for film is about 0.029mm which is larger (and less precise) than the generally accepted circles of confusion used on modern digital camera sensors. This means that if we use the scale as marked, on a digital camera, we might start to notice things start to be out of focus at distances still within the range marked on the scale as being in focus. In order to compensate for the “more ambitious” scale, we can just use a smaller DOF range for a lower f/number. I found that using two stops smaller (e.g. using the marks for f/5.6 when the aperture is actually set to f/11 or using the marks for f/8 when the aperture is actually set to f/16) worked pretty well for the 24MP sensor of the a7II. I’ll try putting together a good article about the basics of DOF scale use. In the meanwhile, I recommend checking out my friend Ugo Cei’s recent set of articles on the problems of hyperfocal distance. Sorry for the long winded answer. I hope that helps. Thanks for the long explanation. The circle of confusion stuff was enlightening, I need to go back and test some of the hyperfocal markings with my D800. Wow that is exactly what I wanted to read. I’ve been trying to figure out this concept for a while and that made plain sense of it. Thanks. Thank you so much for the detailed explanation. Very helpful! First of all, excellent review with gorgeous photos, just what I needed. Second, I have a question about filters. Are any 58mm filters going to fit or is the space limited? For example, what filters do you use? Thanks! A regular round filter will fit but you’re limited to handling the filter via the space between the hood petals so a polarizer would be more difficult. I personally would use a UV filter for protection in harsh environments or a 10+ stop ND filter for daytime long exposures but otherwise would leave the lens bare. Thanks again Ian and I now have this on order. You recommended the Hawk adapter which i can get on eBay however I see other kinds (brass/alluminum) at a fraction of the price! And reason i should stay with the hawk and are you able to recommend another? The Hawk is the only adapter that allows for adjustment of the infinity stop as far as I know. It also has the helicoid which allows for close focusing. There are other close focusing adapter like the Voigtlander VM-E but the Hawk V5 is a better value in my opinion. Will this setup still be advantageous over a Rokinon 12mm f/2.0 on an APS-C? I know that the Rokinon will give an equivalent of 18mm field of view and f/3.0 effective light gathering capability. Overall it is still about the same size as the Voigtlander setup, considering a small-sized APS-C mirrorless body with the small Rokinon f2.0 lens. And of course the pixel density of an APS-C is usually higher, so it won’t suffer much loss of detail compared to a full frame. I’m just wondering if both setups will produce similar image quality. It’s a bit different. I wouldn’t say that it’s advantageous. The Rokinon 12mm/2 still has roughly one stop of advantage in total light gathering which makes it the better choice in that regard. If low-light shooting was my priority, the Rokinon 12mm/2 is better. Just from experience though, I think that the Voigtländer is sharper (maybe a toss up once we get past f/5.6), provides a wider field of view (on FF of course), and is in another league in terms of build quality. the 15mm Heliar III is 2x the price and feels about 2x the quality of the Rokinon. But at the end of the day, you would probably be hard pressed to discern the difference between their images in most situations. Help a guy with GAS out here. I love your post and it has got me Jonesing for this lens in a bad way. Do you think the Voigtlander offers me substantial advantages over the Sony 16-35 F4? I already own the latter and the angel on my shoulder is saying “stay put and don’t spend more money”. But the devil on the other shoulder already has the lens and adapter in my shopping cart at B&H. Hey Joel, I think you need to ask yourself whether the 15mm/4.5 is going to give you something your 16-35mm/4 cannot. The 16-35mm/4 is likely as sharp, has autofocus, zooms and plays nice with fully auto modes but is larger, and more expensive. The difference between 15mm and 16mm is apparent but really small. 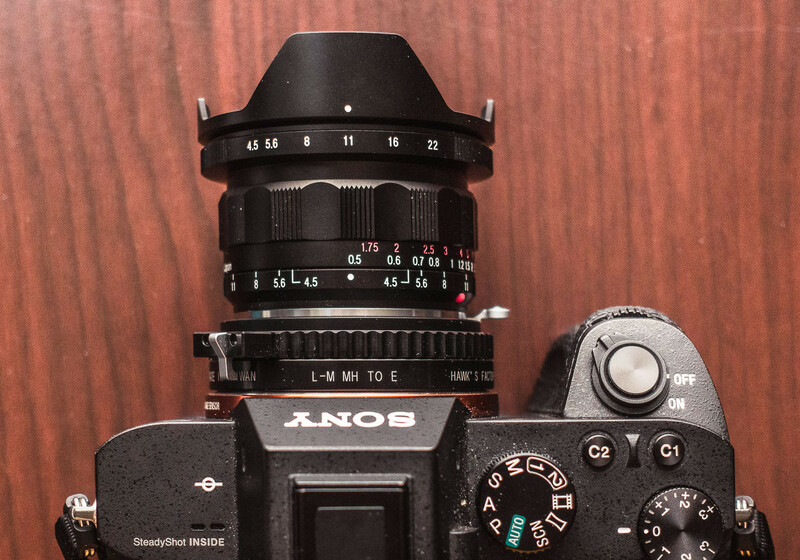 Is a smaller, manual focus lens important to you? Advantages with the Voigtlander+hawks adapter include better close focus distance and a tuneable infinity stop. 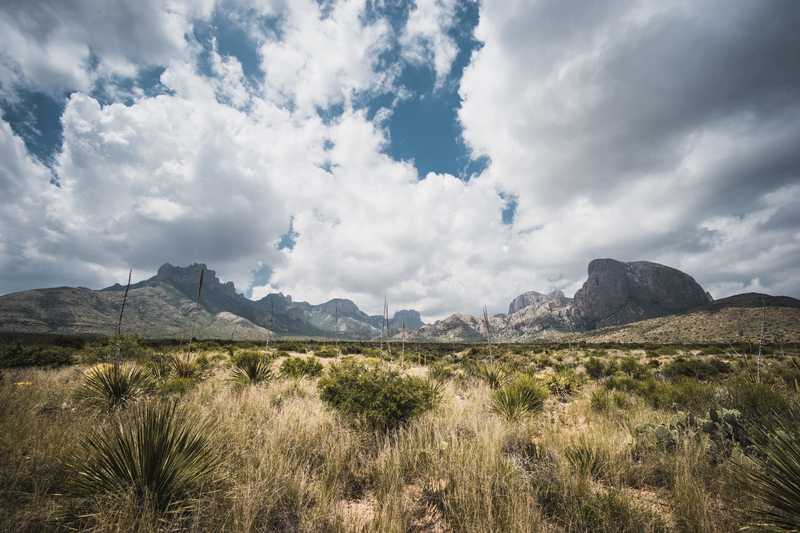 I think the 15mm/4.5 is a lens with a lot of character in both its images and it’s user experience that can’t be replicated by 16-35/4 but you need to decide if that is something you want. There are plenty of people that own more than one lens of the same focal length and it’s usually because each serves a different shooting purpose. If you see the compact manual focus lens being better for an certain type of shooting, go for it. Otherwise, I would look harder at diversifying my lens lineup first. 15mm is really similar in field of view to 16mm. Thanks Toni! It’s a great tool, I have thoroughly enjoyed using it! I found it best to use the hyperfocal markers for the setting two stops brighter than the actual aperture setting. For example, when using f/11 on the aperture, the best hyperfocal markers were for f/5.6. How do you set the ‘hyperfocal markers to f/5.6’ I hope my question isn’t too silly but even my local camera shop didn’t understand! Set the focus so that the rightmost 5.6 is lined up with the infinity mark. At that setting, everything from infinity to the distance with which the leftmost 5.6 indicator is aligned will be in focus.